In the exhibition COVER, we work with the concept of staging. – A staging, which always involves a form of concealment or addition to nature, which shifts the focus. We show a series of photos from the period 2010-2012 and an interactive installation that during the exhibitionperiod 1 april-6. May will grow with the help of schoolchildren. 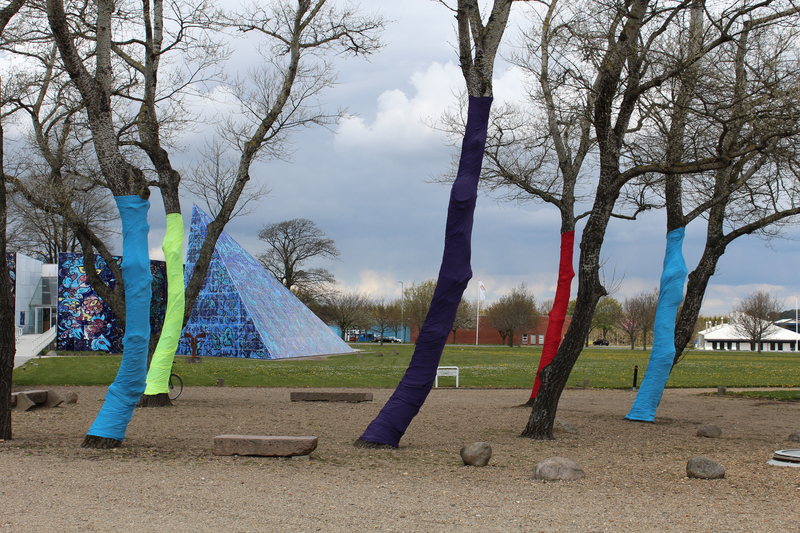 The picture is from outside the Carl-Henning Pedersen Museum, where we covered the trees. COVER is a project made by the artistgroup 5STK.